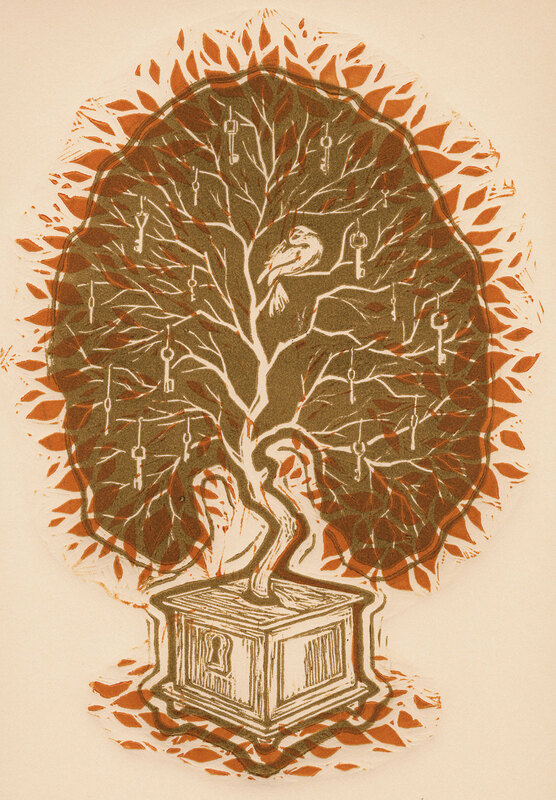 "Secret Keeper" is a two color linocut made with two separate plates. It's printed on Rives tan printmaing paper. Image With Mat Size: 16" x 20"